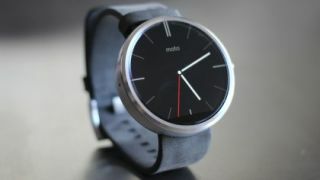 Motorola was one of the companies to pioneer the smartwatch introducing the round Moto 360 watch design, but the company is now re-evaluating the wearable platform before it pushes ahead with another smartwatch. Miles Norman, General Manager UK & Ireland & European Operators at Motorola told TechRadar, while at MWC 2017, “At the moment, we’re evaluating the wearable space. We see it as something that really needs a killer user application and that’s probably a little bit missing at the moment. “There’s some cool stuff that’s out there – but we’re looking for something that’s really, absolutely fantastic. Norman confirmed there’s no plans to drop the Moto 360 from its store and it is continuing to sell well for the company, but it’s clear the company wants to find a bigger USP before going ahead with another device. Motorola didn’t make a smartwatch for the launch of Android Wear 2.0, but instead LG released the LG Watch Sport and LG Watch Style. Norman did tease that maybe Motorola will return to the space in the future, but the company is definitely reassessing whether smartwatches are must have tech and whether it's worthwhile developing for Android Wear. Motorola has announced the brand new Moto G5 and Moto G5 Plus as well as a partnership with Amazon to include Alexa in smartphones and a bunch of new Moto Mods for the Moto Z.
MWC (Mobile World Congress) is the world's largest exhibition for the mobile industry, stuffed full of the newest phones, tablets, wearables and more. TechRadar is reporting live from Barcelona all week to bring you the very latest from the show floor. Check out all our MWC 2017 coverage here.